Whether you love Game of Thrones or Seinfeld, all television fans have one shared experience—the truly unique and devasting loss that comes from a dear character being written off a show before you—or any of us—had the chance to say goodbye. Here to give us closure is talented humorist and head bartender at NYC’s noteworthy speakeasy, Little Branch, Chris Vola. In Pour One Out, he pairs 65 of television’s most dearly departed with the 65 artisanal cocktails that best align with their personality. Whether drinking the Airmail in honor of Susan Ross from Seinfeld, the Wildest Redhead in honor of Barb from Stranger Things, the Too Soon? in honor of Eddard Stark from Game of Thrones, or the Son-In-Law in honor of Matthew Crawley from Downton Abbey, this book will finally give fans the closure they need to raise a glass. With 60 original full-color illustrations featured throughout, fans will squeal as the likes of Parks and Recreation’s Lil Sebastian and Sherlock’s Moriarty appear beside their chosen libations (High Horse and El Diablo, respectively). 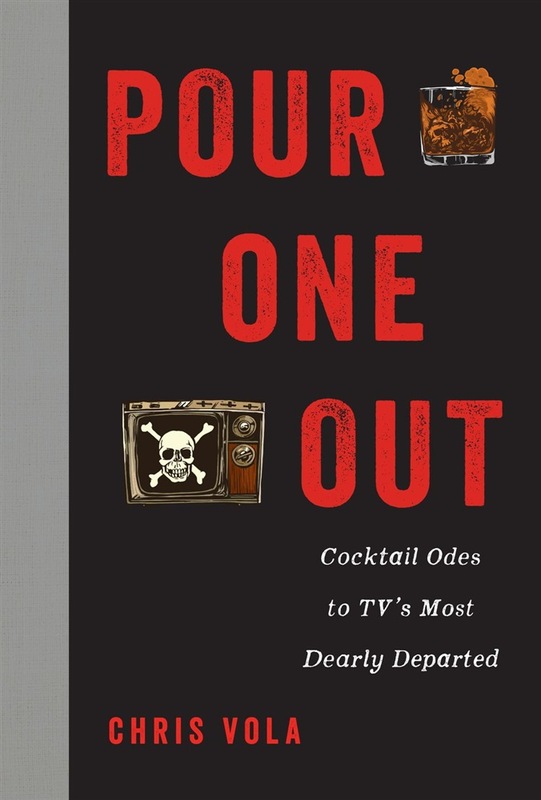 The perfect gift for the TV nerd or streaming junkie in your life, Pour One Out has something for everyone in the family…and everyone sharing your Netflix account. 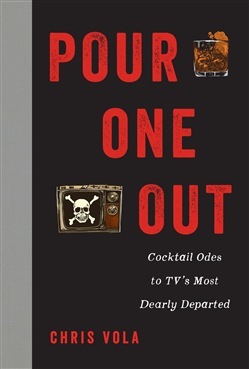 Acquista Pour One Out in Epub: dopo aver letto l’ebook Pour One Out di Chris Vola ti invitiamo a lasciarci una Recensione qui sotto: sarà utile agli utenti che non abbiano ancora letto questo libro e che vogliano avere delle opinioni altrui. L’opinione su di un libro è molto soggettiva e per questo leggere eventuali recensioni negative non ci dovrà frenare dall’acquisto, anzi dovrà spingerci ad acquistare il libro in fretta per poter dire la nostra ed eventualmente smentire quanto commentato da altri, contribuendo ad arricchire più possibile i commenti e dare sempre più spunti di confronto al pubblico online.